You might have guessed by now, I’m one of those crazy people who get irrationally excited about their birthday. It’s not that I like to be celebrated, and I don’t particularly like getting gifts (unless it’s for no reason), but I like to treat my birthday as my special day. The one day of the year when I notice the small things too and tend to remember most of it even years later. It’s also that one day when I get to be as overdressed as I wish without feeling bad about it. 😉 So this year the plan is to get this vintage dress out of the box, make it into a pretty little cocktail dress, go to Frank’s to watch the sun go down, and go home dancing?! 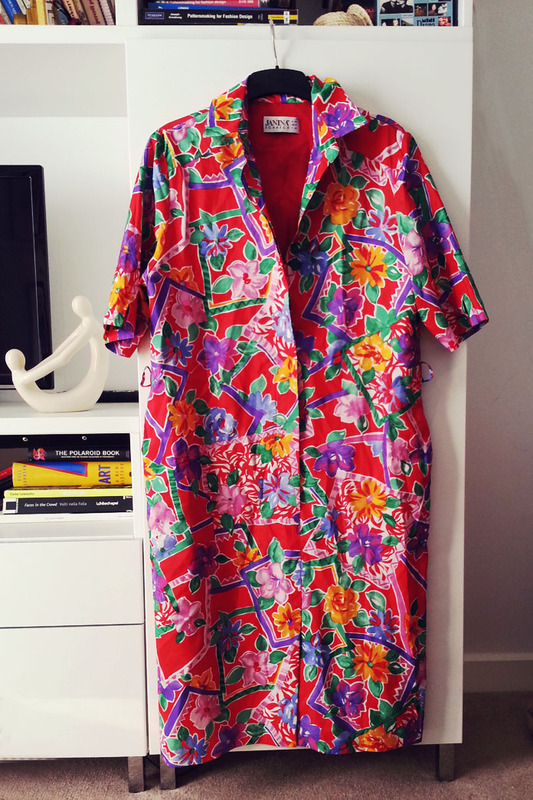 I bought this crazy 80’s grandma’s summer dress a few years ago in a charity shop in Budapest. I really loved the print and was planning on making something unexpected from it, but have always been too scared to cut into it. Practically it is still intact, but the other day in the middle of my 18 hour-long procrastination marathon, I picked the dress up and decided to just go (relatively) simple and make something out of it. Right after this, I sat down to sketch how it’s going to look, then one thing led to another and I made the below little illustration in a mere 8 hours. 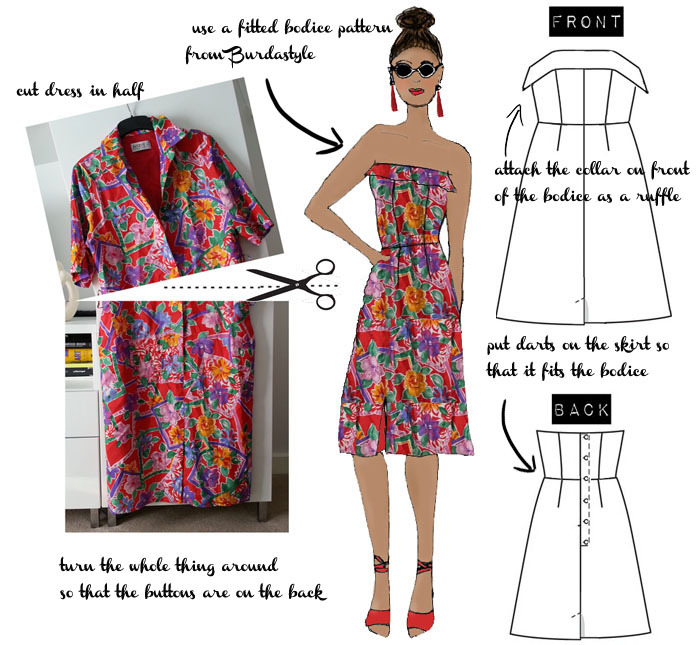 I think I will use the same pattern as for the backless dress from Burdastyle, and I might take the chance to try to use boning to hold the whole thing tight on my bust. I probably have to ditch the buttons on the back altogether and use an invisible zip instead, for similar reasons. I already feel a little less excited now that there’s a plan and all, but one day I’ll surely make it! Image of Frank’s found here. How has your personal history informed the way you dress? When did your tastes crystallize? Have they changed over the years, and why? As you can see I had killer style when I was in kindergarten. 🙂 I also remember being pretty happy in the clothes my parents picked out for me and my sister, (my dad was the fashionista in the family back in the days…). As a teenager, I guess I just wanted to feel comfortable in my clothes and with my body and not stand out from the crowd even more (I am not the typical Hungarian looking girl, you see). It basically meant covering up as much of my body as possible, in fact that photo of the blue sundress is a rare one. It was taken in Athens and it was extremely hot and that was probably the only time I worn something like that since I was a child. When I moved to London I experienced what’s it like not to be bothered with what other people might think about me for the first time in my life, so I started experimenting with my looks. In the past 2 years I think I’ve managed to be more conscious about wearing the pieces I feel best in, although I sometimes feel like I dress a little old for my age. How does your philosophy, spirituality, or religion affect your aesthetics and buying habits? Or, what aspects of those things would you like to see reflected? Although I find many “green” movements rather questionable, I feel very strongly against wasting anything. I would like to explore more ways to reuse existing resources and reducing the clutter around me. 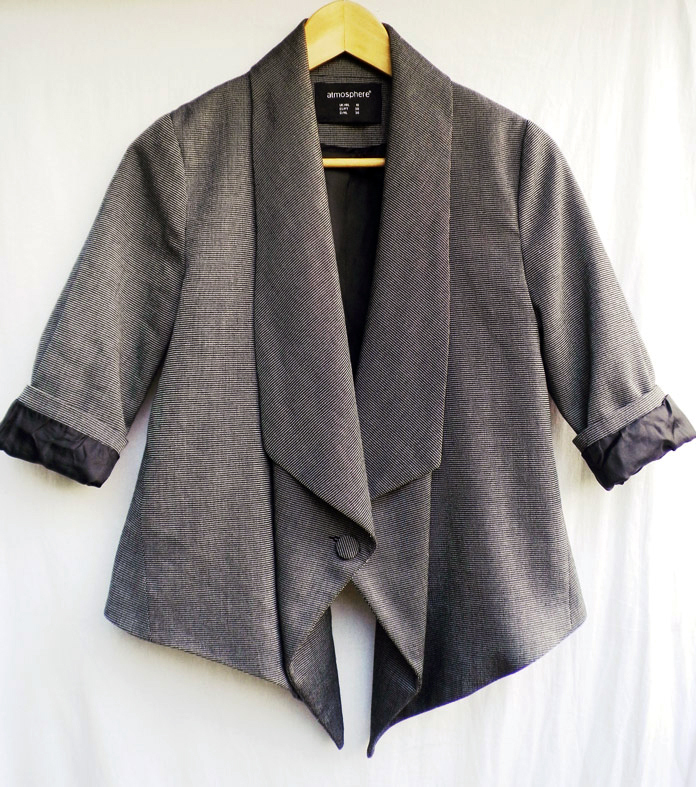 Having a wardrobe that expands only by adding handmade pieces to it, would be another step for me in moving away from the way too fast high street fashion. 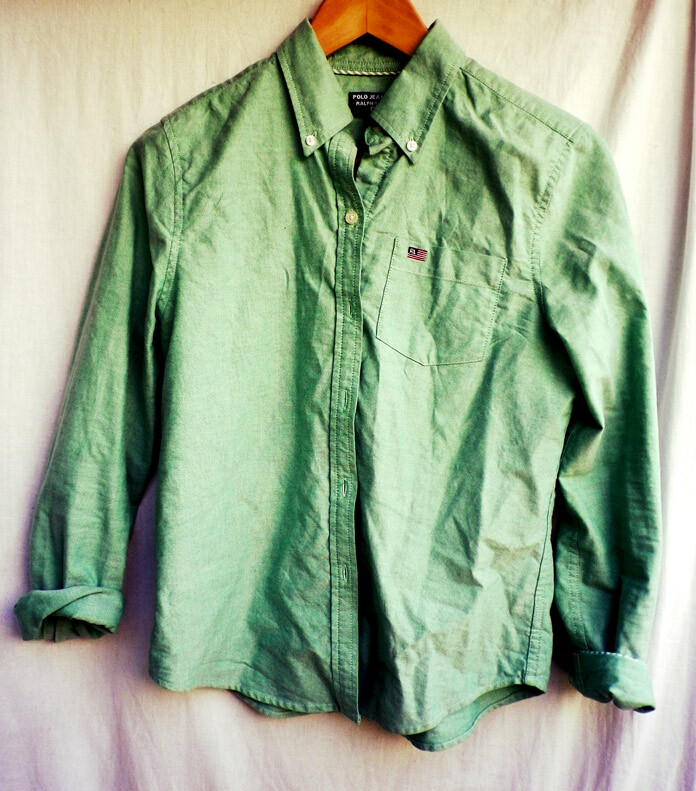 When I discovered the magic of buying vintage/charity shop clothing, the most appealing factor was not only the uniqueness of the pieces, but also the fact that you are saving a piece of history by giving it new life. How has your cultural background shaped the way you look? How did the aesthetics and values you grew up with affect your tastes as you got older? I’m half Hungarian and half Nigerian. Although I appreciate my fashionable “heritage”, the well known traditional Hungarian embroidery, and I love the African print fabrics and headwraps worn all over Nigeria, none of these have inspired me in choosing what to wear in my everyday life…yet! I do find the so called “etno” look desirable on others, but I don’t feel like myself when I occasionally wear an afro during the summer, when I’m too lazy to straighten my hair. How are you influenced by the people around you, including friends, family, and other communities you’re involved in? I have never dressed according to any subcultural “dress code”, since I never belonged to any such groups. I kind of hate to admit it, but the biggest influence on my style is my sister, who has a flawless style and always inspires me to at least try to be a tad bit more elegant and classy. Although while she likes to dress appropriately to every occasion, I prefer to wear whatever I feel good in. How do your day to day activities influence your choices? I stubbornly cycle e v e r y w h e r e. Come rain or shine, I’ll go by bike. I would like to think it’s not mere stubbornness though, or my hatred of public transport, but a statement I make everyday about not being lazy and doing something no one around me does, something I’ve never thought I could do. Long story short, I need clothes to do all that cycling in. And I don’t mean head to toe lycra obviously, but normal clothes that allow me to move my legs, heavy enough to retain my modesty in the London wind, and won’t be destroyed by a little rain every now and then. Does the place you live inform the way you dress? How does climate factor in? I am a Londoner now, and even though everybody hates this weather, I kind of love it. I come from a place with four seasons, two rainy ones, one extremely hot and one extremely cold, so I’m happy with the moderate climate and I’ve made peace with the sometimes constant rain too (it really is just water!). This means you can wear pretty much whatever you want, and I bet that’s why London is one of the fashion capitals. In what ways does body image affect your choices in clothing? What clothes make you feel good about the body you live in? What clothes make you feel uncomfortable or alienated from your body? Since I was a teenager I’ve had rather sensitive skin which is actually why I got interested in fashion. I had to find creative ways to hide the problematic areas and show whatever was left. I also turned from alarmingly skinny to healthy, to bigger… and now back to curvy (I guess), but to be honest, my weight has never played as big a part in my wardrobe planning as my skin, even though I wouldn’t mind having leaner legs…and arms, etc. Because of this, I feel most comfortable in flouncy skirts and black tights, high neck- and waistlines, short jackets and I’ve learned to love anything backless. I don’t really like wearing jeans or trousers, anything low-cut and short skirts or dresses that hide my waist, which happens to be the slimmest part of my body. In the next task I will be making a moodboard based on the the words I associate with the clothes I wear and the way they make me feel, but before I bore the hell out of whoever reads this (thank you guys! ;)), I’ll show you my brand new little pleather skirt (that’s not a typo!). 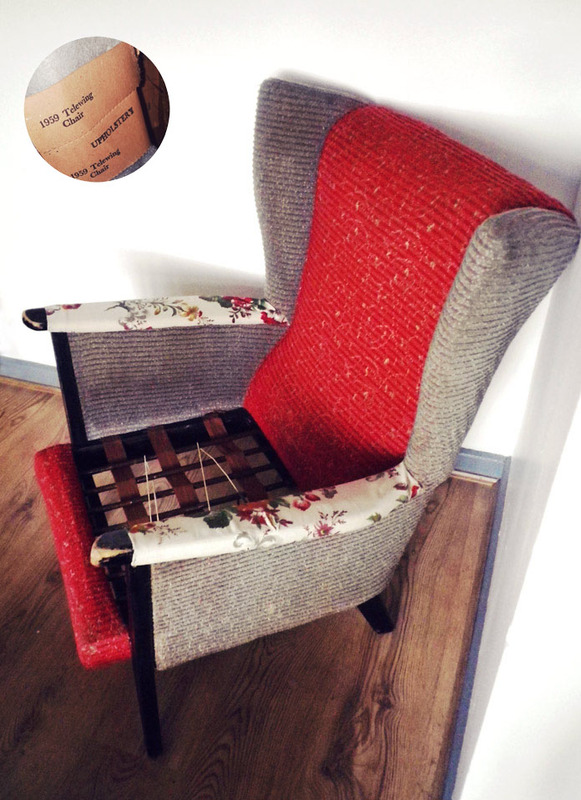 I found this wingback chair on a rainy Friday night, dumped on the street, a couple of months ago. It looked rather old (according to the paper attached to it inside, it was made 54 years ago! ), it was wet, it smelled, and was crying out to be reupholstered. I know very little about upholstery, but it seemed to have good bones under the dirty fabric, so I asked a friend to help me drag it home. and the fact that I madly love anything velvet. Image sources: 1, 2, 3, 4, 5, 6, 7, 8, 9, 10, 11,12. 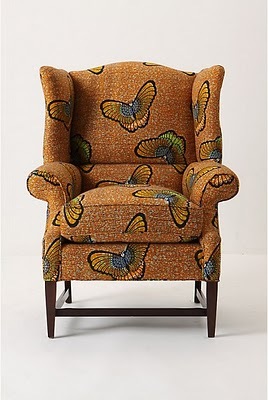 Inspired by these images, I came up with the idea of upholstering it with grey velvet (or mustard yellow. Or soft pink…or any colour, really) and using hand printed burlap (that was an over-ambitious idea, I know now) on the back of it. Then I went food shopping on a lazy Saturday afternoon to Peckham, and the next thing I knew was that I was walking out with THE fabric in my hand. Obviously, prior to the walking bit, there was a 45-50 minute period when I tried to describe what the selected 4 rolls of fabrics looked like to my sister, as well as taking rubbish photos of it to help the case move along. With her gentle nod and my strong desire to make something sophisticated, I went with the (little did I know) trickiest fabric. I was very close to giving it all up half way through, but I didn’t. So stay tuned, I’m almost there!